It is planned to publish the best and topmost selected papers of conference as a post-conference proceedings with Springer in their prestigious Communications in Computer and Information Science series (received conditional acceptance). Springer CCIS is abstracted / indexed in Scopus, DBLP, Google Scholar, EI-Compendex, Mathematical Reviews, SCImago. 2 Software Engineering Dr.Saroj Kaushik Professor & HOD,Department of CSE, Indian Institute of Technology (IIT) Delhi. Our PGDM and MCA Programmes are approved by the the All India Council for Technical Education (AICTE) and are accredited by National Board of Accreditation (NBA) for excellence in quality education. Our MCA programme is the only NBA accredited programme in Delhi. Our BCA and BBA programmes are affiliated to Guru Gobind Singh Indraprastha University, Delhi. JIMS is a place of learning for knowledge-driven learners. It has been built with an aim to impart education that surpasses the benchmarks of excellence. To achieve the motto it has a comprehensive pedagogical structure which provides paramount academic skills, curriculum with the ever-evolving dynamics of global business environment, esteemed faculty members with their vast experience and expertise and world class facilities. With Recent developments in the field of Computer Science, Jagan Institute of Management Studies is organizing International Conference on Information, Communication and Computing Technology. The conference will provide forum for research scholars, scientists and engineers to share their experiences in this field. 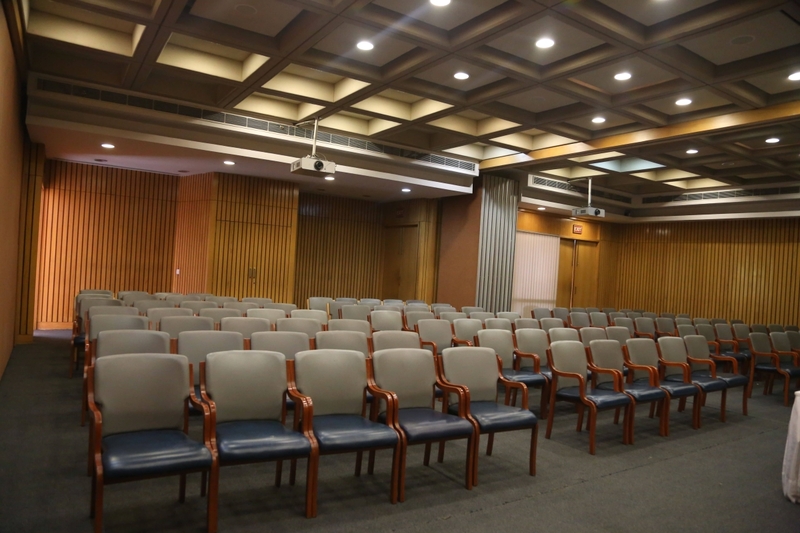 “IIC (India International Centre), 40, Max Mueller Marg, New Delhi”. IIC is located at approximately 20 minutes drive from Khan Market metro station. Springer is a global publishing company that publishes books, e-books and peer-reviewed journals in science, technical and medical (STM) publishing founded in May 10, 1842 with headquarters in Berlin, Heidelberg, Germany. The Springer CCIS series is devoted to the publication of proceedings of computer science conferences.The Springer CCIS series is devoted to the publication of proceedings of computer science conferences. Besides globally relevant meetings with internationally representative program committees guaranteeing a strict peer-reviewing and paper selection process, conferences run by societies or of high regional or national relevance are also considered for publication. JIMS is an institutional member of CSI from the past several years, as well as a student chapter of CSI is running at JIMS, Rohini. Formed in 1965, the CSI has been instrumental in guiding the Indian InfoTech industry down the right path since its formative years. Today, the CSI has 73 chapters all over India, 500 student branches, and has grown to an enviable size of more than 1,00,000 strong members. The mission of CSI is to facilitate research, knowledge sharing, learning and career enhancement for all categories of InfoTech professionals while simultaneously inspiring and nurturing new entrants into the industry and helping them to integrate with the InfoTech community. A Chapter of the society is a group of members in a particular locality or a city. The Chapters play a major role in achieving the objectives of the society; they organize monthly technical meetings, product presentations, exhibitions, films and video shows. Recently, in December 2015, CSI celebrated its Golden Jubilee celebration and National Convention called “Digital Life” hosted by Delhi chapter. Students and academicians from all over the country participated and presented papers in 9 tracks and more than 40 special sessions. JIMS Dean InfoTech Prof. (Dr.) V. B. Aggarwal chaired the opening technical session on Big Data Analytics and gave technical advice to the paper presenters in the session. The International Conference on Information, Communication and Computing Technology (ICICCT-2017) will be held on May 13, 2017 (Saturday) at India International Centre (IIC), 40, Max Mueller Marg, New Delhi - 110003, India, in collaboration with Springer & CSI. ICICCT 2017 announces Call For Papers for the following Conference tracks.